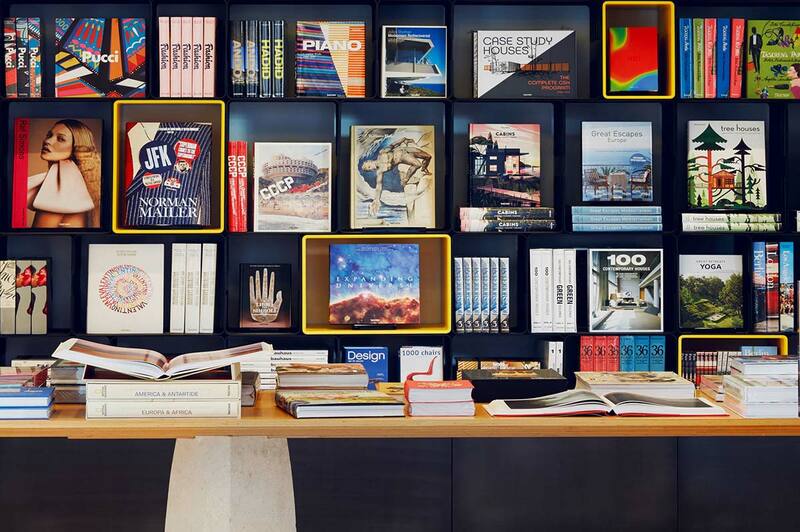 With a potpourri of designers and collaborators having a hand in the creation and collections within this ‘readery’, TASCHEN bursts onto the design Mecca of Milan in a way that does not disappoint. 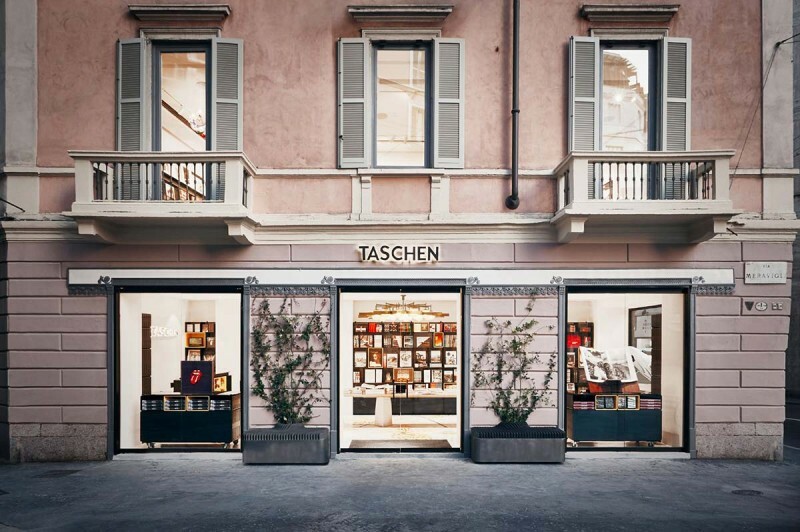 Offering two levels and a 120 square meters of space to display their book palace, TASCHEN layers it’s grandiose works of literature beautifully, melding the minds of various authors from a variety of eras and genres. 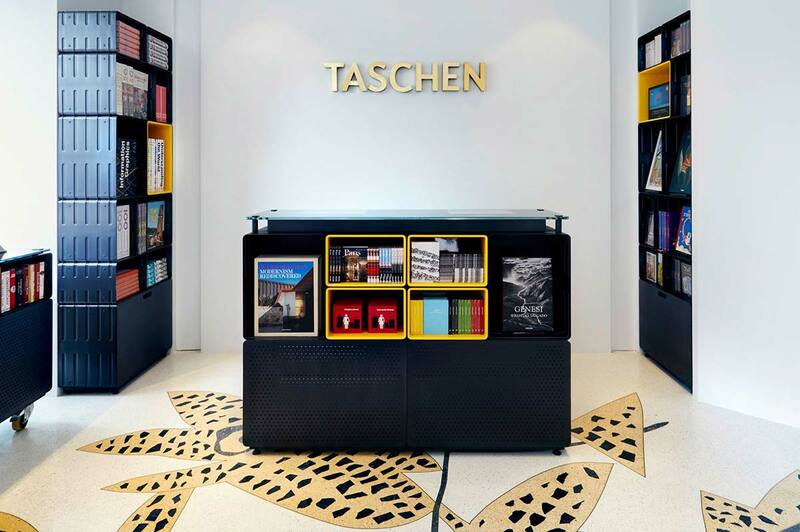 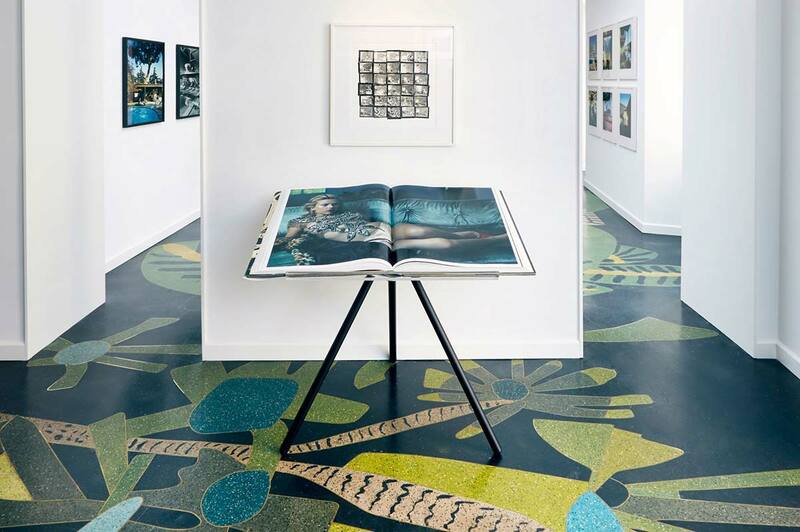 Renowned designer Marc Newson offered up his handiwork, delivering large glass-top cabinets to present TASCHEN’s Collector’s Editions and Art Editions, enhancing the book display with a custom high-gloss steel bookshelves found on the ground floor. 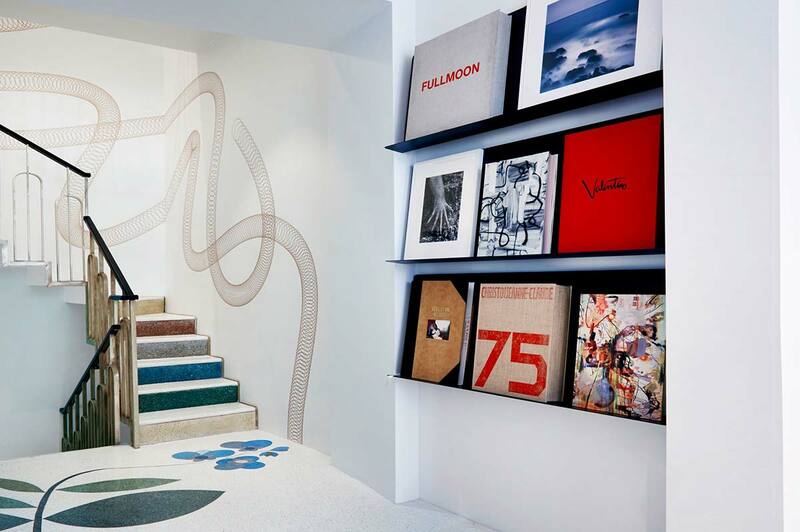 With colorful floor and wall patterns by US artist Jonas Wood, along with a flurry of subdued colors on the spiral staircase by Salvatore Licitra leading to the second level, these colors and patterns add a subdued flare without being too loud in a space filled with quiet contemplation. 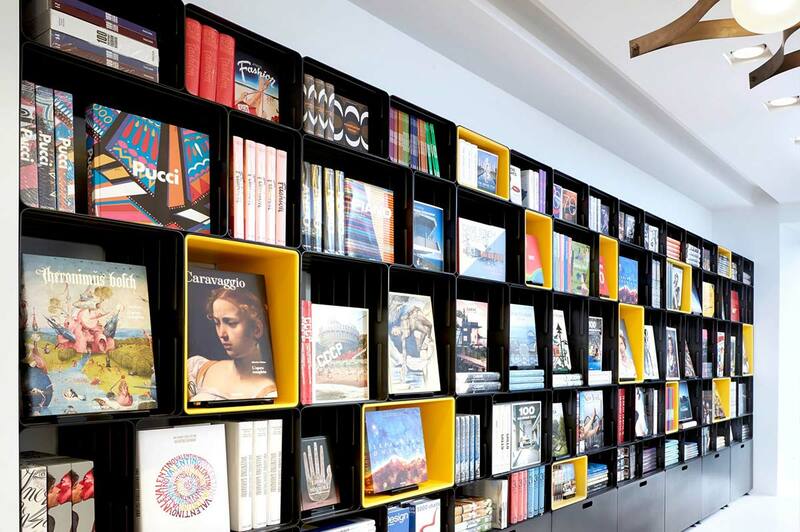 Bookworms and design connoisseurs alike will delight in this space infused by creative energy nostalgic of Italian design from the 50’s. 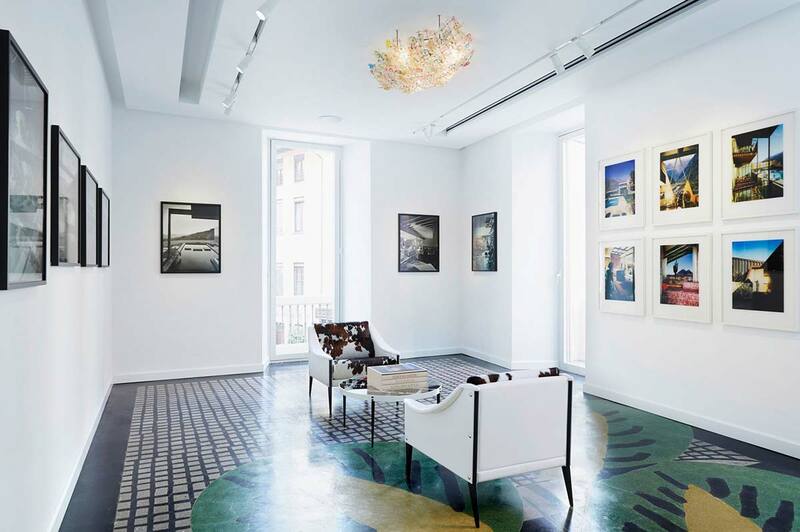 From the personal collection of Benedikt Taschen, to the Gio Ponti design commissioned by the Hotel Parco dei Principe, and the not-to-be-missed 1954 lamp by Flavio Poli, which sheds light on a series of Julius Shulman photographs currently on display, it all comes together in an epic tale of design passion and purposed design. 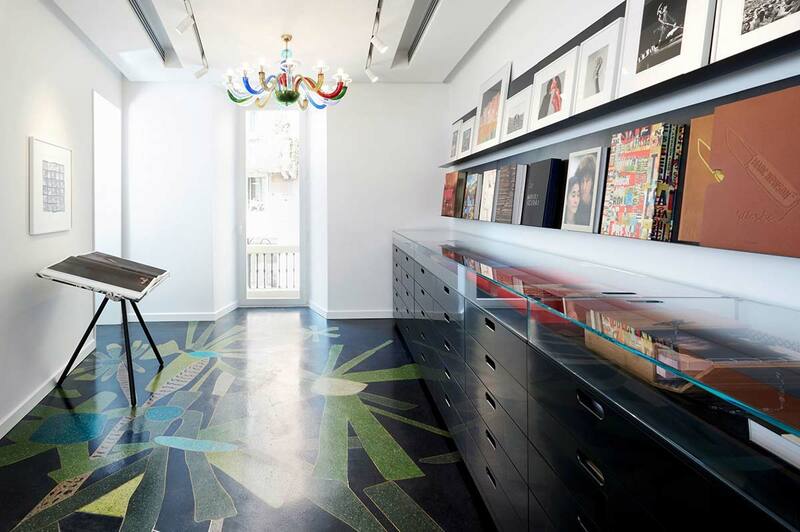 Hemingway himself would likely be proud to be displayed in such a space!